Abidas is a bird biologist and data coordinator from Belize. Her conservation work started 4 years ago when she volunteered in marine research. She then trained in bird banding, which lead her towards a fulfilling career path. She worked for two years at a research station developing and carrying out small research project to communities in the area. She is currently working on a pilot project that will develop a bird monitoring system for the assessment of ecosystem health in protected areas in Belize. Adam is the founder of Planet Indonesia, an organization dedicated to the conservation of the earth's ecosystems by facilitating productive economic activities in marginalized communities. Adam is a strong activist for change in conservation, as a practitioner and as a researcher, and is dedicated to create innovative outcomes and solutions that benefit both humans and the environment through economic feasibility and sustainability. He has been selected as one of the top 10 young leaders in wildlife conservation and as one of the top 10 leaders for Women's Empowerment. Alexey is a recent MA graduate (Linguistic, Ecology, Conference Interpretation and Welding) from Russia, currently living in Germany. His conservation journey started when his parents taught him the importance of living a sustainable life. He then volunteered in nature parks and worked on local eco-projects with children. Alexey is currently working in Berlin as an ecology educator and interpreter, bringing together eco-teams from all over the world. Alfred is originally from the Naimina Enkiyio forest in Loita. He is now a youth leader, conserving Kenyan forests and its elephants. He has a diploma in Wildlife Management and Sustainable Tourism, and is currently studying Wildlife Biology and Management at Kenya University. Additionally, Alfred is a research fellow in the elephant conservation organization Elephant Voices, where Alfred promotes the scientifically sound and ethical management and care of these magnificent mammals. Anny is a veterinarian from China. Growing up in an area abundant in wildlife, her connection to, and love for, animals shaped her career. For past few years, her efforts have focused on stray animals and their welfare issues, though through working in a veterinary hospital in Beijing, she gained an interest in exotic animal medicine. She is personally interested in improving the welfare of animals in China and decreasing the conflict between humans and stray animals. "Every individual has a role to play and we can all make a difference by doing what we can." Billur is a Turkish ecologist-to-be whose ultimate aim is to produce scientific knowledge in the field of ecology and spread this knowledge within the international community in cooperation with NGOs. She is dedicated to defend nature's rights with full empathy for a sustainable life on Earth. As a current BSc student in Molecular Biology, she will continue her studies in ecology. Currently, she is working in with Yelkouan Shearwater a seabird conservation project in Turkey. Cécile (chinese name 希西, pronounced “C-C”), a french/ chinese/ canadian environmentalist dedicated to advancing wildlife conservation and the Sustainable Development Goals using an interdisciplinary approach. She holds a BSc in Biology and a joint-MSc in Environmental Sciences, Management and Policy (Erasmus Mundus MESPOM), where her focus was on marine conservation, tropical ecology and Indigenous communities. She enjoys working alongside different stakeholders to find sustainable solutions to our environmental challenges. Her other passions… Food and travelling! Chingchi is a student from Bangladesh. As part of an ethnic community, she grew up in close proximity to nature and wildlife. However, she was drawn to conservation after witnessing her community’s societal norm of hunting and consuming wild animals. To address the issues of unsustainable use of wildlife, Chingchi has been involved in arranging local community meetings to explain the importance of conserving wildlife and currently she is working on surveying and listing the fauna found in Madhupur Forest. Chris is a researcher at the University of Exeter where he gained his MSc Degree in Evolutionary and Behavioural Ecology. He also runs his own star-up company called Farsight Conservation which shares contemporary Conservation stories through film articles and art. He has studied Behavioural Ecology of many species including pheasants, giraffes and zebra finches. He also contributes to research on student engagement, sitting on the Steering Group of REACT (Realising engagement through active culture transformation). Connel is a British conservationist currently living in British Columbia, Canada. He works as a Wildlife Education Manager for the Northwest Wildlife Preservation Society, running free wildlife education programs and nature walks for low income school children and youth at risk on Vancouver Island (reaching 25000+ people in the last 3 years). Connel also volunteers with a local bird banding group and participates in orca conservation programs. Daniela is a Peruvian biologist, currently working in the Peruvian Amazon Rainforest. She is working as a technical assistant in a project that aims to mitigate the deforestation of chestnut concession forests in the Amazon, which is a project implemented by the Peruvian environmental fund PROFONANPE. Daniela is interested in conservation and the sustainable management of natural resources, as well as the empowerment of local populations which enables participatory management. Deborah, from Kumasi in the Ashanti region of Ghana, is currently in her final year at the Kwame Nkrumah University of Science and Technology. Through her studies on Natural Resources, with a focus on Wildlife management, she has surveyed the regions of the Kwabre west rain forest and is now working to protect the endangered Roloway monkey. Josephine is a wildlife conservationist with a background in zoology from the United Kingdom. She is interested in investigating the over-exploitation of endangered species. Josephine has experience in monitoring and mapping out trade routes of endangered species caught in the illegal wildlife trade all over the world, as well as in implementing operation logistics for developing conservation efforts on the ground against wildlife trade. She aims to develop innovative solutions, implementing effective policy that bring meaningful change to ongoing conservation challenges. Kataya is a marine ecologist, based at Macquarie University, Sydney, Australia. After learning how fragile marine ecosystems are, she developed a lifelong passion for marine conservation. She has worked with Indigenous youth on conservation issues and various marine conservation projects. Currently, for her Masters, she is researching the relationship between animal movement and habitat usage of marine fauna in response to climate change. Lucie is a committed wildlife carer, conservationist and biologist. Adventurer and explorer, lover of nature, open spaces and open seas she is currently pursuing a BSc in conservation biology at AMU Aix-Marseille University. Originally from France, she has lived all over the world; working in the field with various organizations to protect threatened species in the wild. She co-founded her own NGO 'Little Stones' to help remote communities recover from natural disasters and develop while ensuring sustainable welfare of their local biodiversity. Lucie's Work focuses on wildlife welfare and the development of sustainable conservation measures in the field, by engaging in cross-cultural collaboration and outreach with Indigenous communities. Knowledge is a wildlife conservationist from Zimbabwe. Participating in anti-poaching patrols, and utilizing GIS to map poaching incidences, he is interested in communicating conservation research findings and raising awareness in Zimbabwe on issues related to wildlife trade, climate change and poaching. Knowledge aims to form a network of science-based organizations that works on reducing illegal wildlife trade and promoting equitable sharing of natural resources, as well as empowering communities through education and livelihoods improvement programs. Mareen is an environmental campaigner from Germany. She recently graduated in Political Science and has conducted research on national as well as international environmental policy. Mareen has been working with various NGOs like Friends of the Earth Germany, IFAW and is currently employed at the German Animal Welfare Association of Berlin. Margaret is a passionate conservationist, whose knowledge of wildlife stems from her time spent in Uganda's vast National Parks. She is committed to wildlife protection and working alongside neighbouring communities of protected areas to diminish human-wildlife conflict. Meshack from Limpopo, first studied public management as a profession, and turned to conservation when he began witnessing first-hand the effects of poaching on his community. It is his vision for youth who care for wildlife to become know all over around the world, sharing information to help protect our environment. He believes that a new generation of conservationists and nature enthusiasts can understand that poaching is not wrong because it is illegal, but illegal because it is wrong. Building upon his current knowledge and skills he gained at the Youth Forum for People and Wildlife, he is now working with South African National Parks to make this dream a reality. "I can say that the best education I ever had, started at home. This was when mother taught me the principles in life and values that I still hold strong until this very day." Mingyu is a Chinese PhD student at Peking University, majoring in Conservation Biology. His research focuses on the impacts of free-ranging dogs on snow leopards in Tibet. Additionally, he is a consultant at the Shanshui Conservation Center, which gives him the opportunity to participate in snow leopard conservation programs. Olivia, a Political Science & Philosophy student from South Africa, is the CEO and founder of Four Elements Conservation NPC, an environmental organization raising awareness and funding for environmental issues by running innovative projects and youth development camps. Her conservation journey started a decade ago, when she was first exposed to birding which led her, at age 12, to begin fundraising for conservation initiatives such as the Bearded Vulture Project. 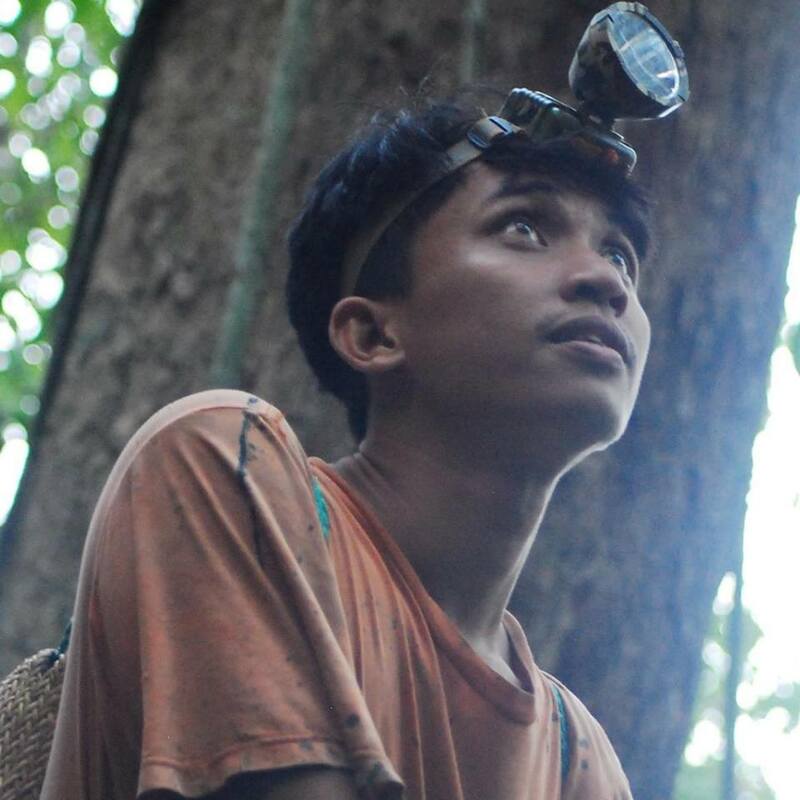 Paulinus is a conservationist at the forefront of saving orangutans in Borneo. He currently works for the Centre for Orangutan Protection (COP), helping with orangutan rehabilitation as well as campaigning against orangutan habitat destruction due to palm oil plantations. Founded in 2007, COP investigates, documents, exposes and readily confronts any groups who threaten to disrupt the lives of orangutans or local communities living nearby. Learn more about the Centre for Orangutan Protection. Rahaf is an IFAW (International Fund for Animal Welfare) environmental researcher and wildlife educator living in Dubai. She studied towards a Bachelor of Environmental Health Management but her passion towards animals drew her towards a professional career in animal welfare and conservation. As a researcher at IFAW Middle East, she has measured illegal online wildlife trade and is currently focusing on educational programmes that empower young people and communities to take positive action for animals. Razan is a MPhil student in Conservation Leadership at Cambridge University. Since 2007 she has volunteered at the Sudanese Environment Conservation Society. She is interested in community-based conservation, and is currently developing effective and applicable bottom-up approaches. In 2014, she coordinated an UNESCO-World Heritage volunteer’s project at the Dinder National Park (a protected area in Sudan) that aimed to raise awareness and reduce the conflict between rangers and local communities. Samson is a professional wildlife artist from Samburu County, northern Kenya. He is dedicated towards spreading awareness about wildlife and conservation through arts and creativity. Muhammad Shavez is a naturalist and conservationist from the Island of Borneo. He founded 1StopBorneo Wildlife, a wildlife organization which conducts wildlife surveys, organizes education program and undertakes wildlife rescues. He is currently exploring setting up his own ecotourism conservation project in order to support the organization’s ongoing programs as well as to help indigenous communities. Shavez is studying Tourism Management at the University Sabah and has previously studied Anthropology. Sofiya is a Russian-native Singapore-based wildlife artist. Using her artistic skills she shows the beauty and importance of the natural world. Through her art projects, exhibitions and special events she engages the public's attention, and sparks the discussion on issues surrounding the extinction of iconic wildlife species. 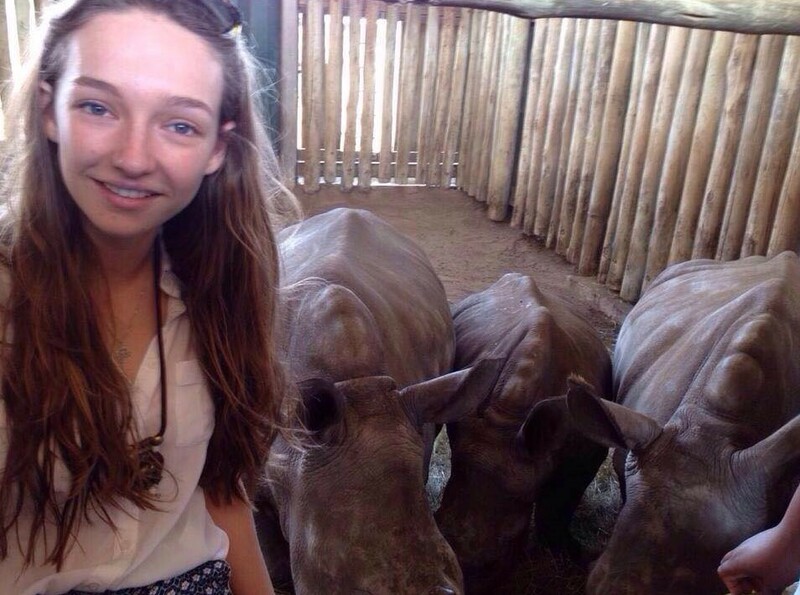 She is currently undertaking her MSc in Conservation and International Wildlife Trade at the University of Kent, UK. Both, education and practice in conservation biology help Sofiya to be at 'the heart' of wildlife protection, making her art all the more powerful. Stefan is a lawyer from Guyana, with postgraduate qualifications in Sustainable Development and Legislative Drafting. He promotes environmental democracy; human rights on access to information, public participation in decision-making processes and access to justice on environmental matters. Additionally, through his work as the UNEP's Youth Advisor for Latin America and the Caribbean, he has coordinated grassroots initiatives geared towards achieving sustainability. Stefan works to ensure that environmental rights defenders are able to enjoy other human rights such as the right to freedom of expression. Swetha is a budding wildlife biologist from India. She is dedicated towards working in both the grass-root and the international policy levels to help conserve biodiversity and wildlife. Her wildlife conservation projects in India have included fighting against illegal encroachments into protected areas, advocating for conserving new habitats for otters, tigers and the critically endangered long-billed vultures. She also conducted one of the first studies on the stump-tailed macaques. Swetha is a member of the steering committee of the Global Youth Biodiversity Network (GYBN) and works on policies issues under the Convention on Biological Diversity. Thobeka is an Environmental Monitor at Isimangaliso Wetlands Park, in South Africa. Her passion for nature extends to her studies towards a Diploma in Nature Conservation and a Bachelors of Technology in Nature Conservation. She has volunteered in both terrestrial and aquatic protected areas, as well as helping out with wildlife rehabilitation. 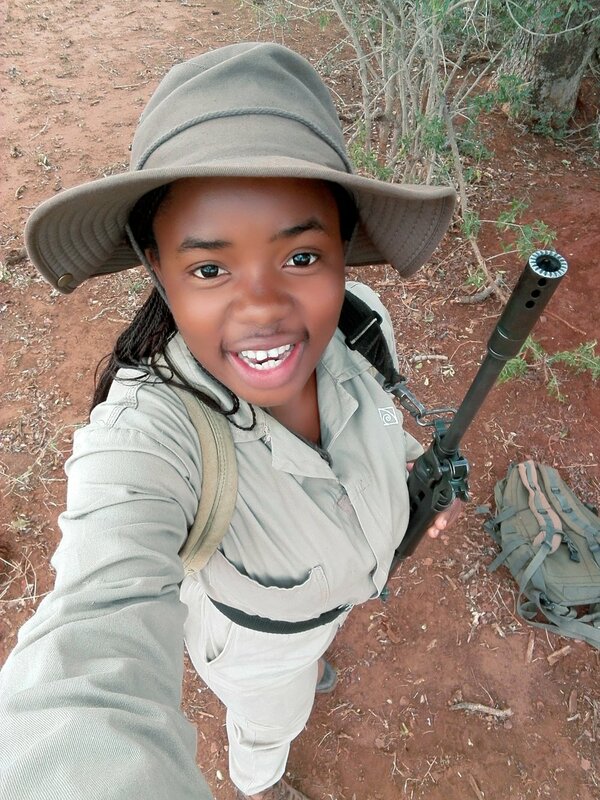 Last year she successfully completed an Armed Field Rangers course with the South African Wildlife College. Thomas is a speaker and campaigner who's been recognized as one of Australia's most accomplished young change-makers. He began trailblazing at age 13 when he founded an international campaign about palm oil that’s reached over 1.5 million people from 200+ countries. Thomas has gone on to help lead environmental, animal protection and human rights projects across 5 continents. He was awarded 2015 VIC Young Australian of the Year. He now runs his own a company promoting more sustainable food sources for people and the planet: Food fronteir. Thuto is a conservationist from Botswana. He studies finance and is interested in investigating financial crimes related to illegal wildlife trade, but he also believes that education is the most powerful tool to change a community’s attitude towards environmental conservation. In this sense, Thuto organizes capacity-building seminars, outdoor expeditions, debates and public lectures to inform communities on wildlife conflicts. He also works in close partnership with local youth groups. Vincent is Namibian living in Cape Town, South Africa. Currently a PhD student at the University of Cape Town, his research in collaboration with Panthera (Big Cat Conservation NGO) is about the illegal leopard skin trade. Using genetic tools, they hope to determine the spatial extent and geographic origins of illegally traded skins across southern Africa. He hopes to inspire future conservationists by exposing the need, not only for cutting-edge science behind conservation, but also the social and political savvy to translate innovative designs into feasible policies. This is particularly true for the management of human-wildlife conflict in Africa, where resources and capacity are often lacking. Xolile is a Community Rhinoceros Ambassador from Kwazulu Natal, South Africa. Alongside her team, she visits schools, clinics and homes in different local communities, where she spreads awareness about rhino poaching issues. She is also passionate about environmental education, advocating for ways in which local communities can help save our planet. Edwina is a young conservationist from China, who now lives and works in Kenya. She is currently the COO and Youth Program Director of China House, a platform which facilitates an easier integration of Chinese in Africa. She works with both international and local conservation NGOs, to understand Chinese communities in Africa and to engage them in wildlife conservation. She also works with international investigation organizations to combat illegal wildlife trade.